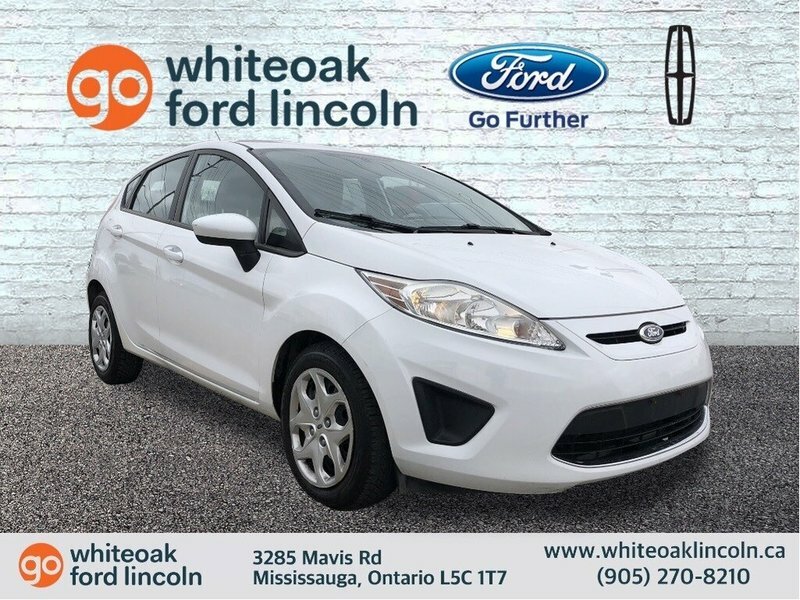 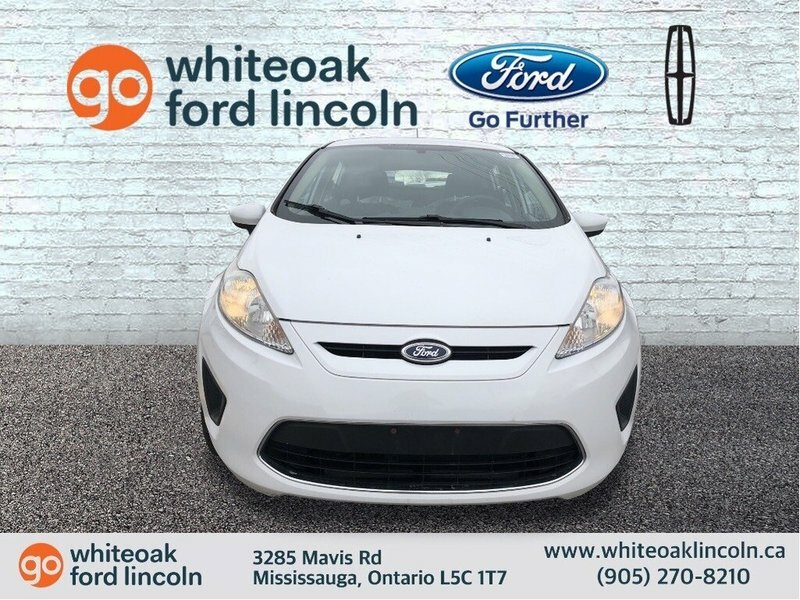 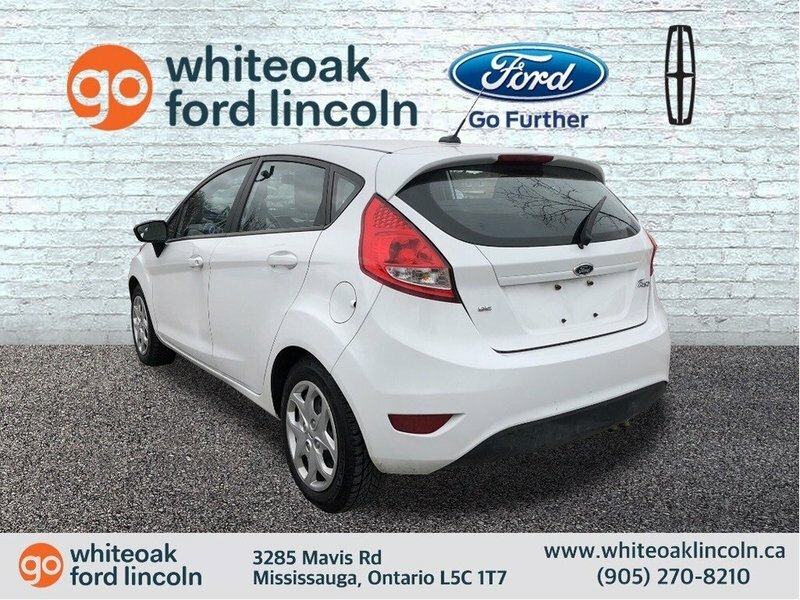 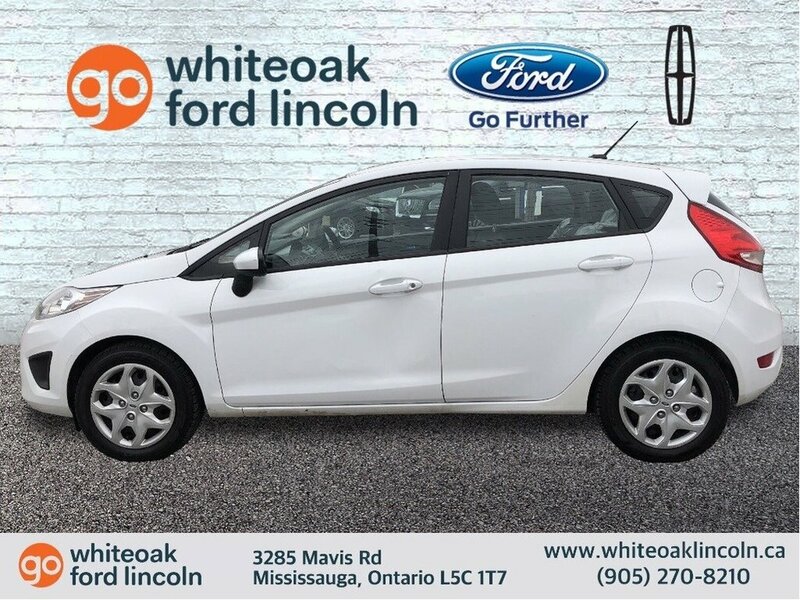 Putting the fun in functional, our 201 Ford Fiesta SE Hatchback is presented in Oxford White. 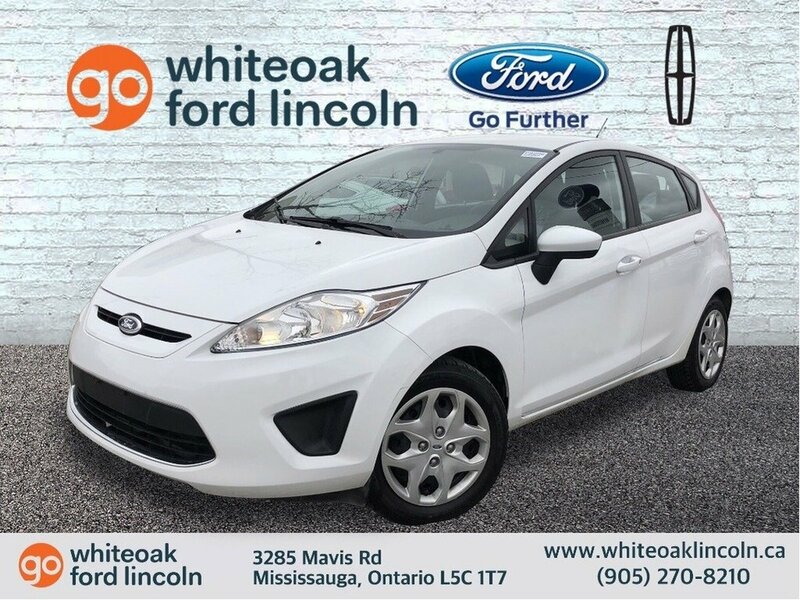 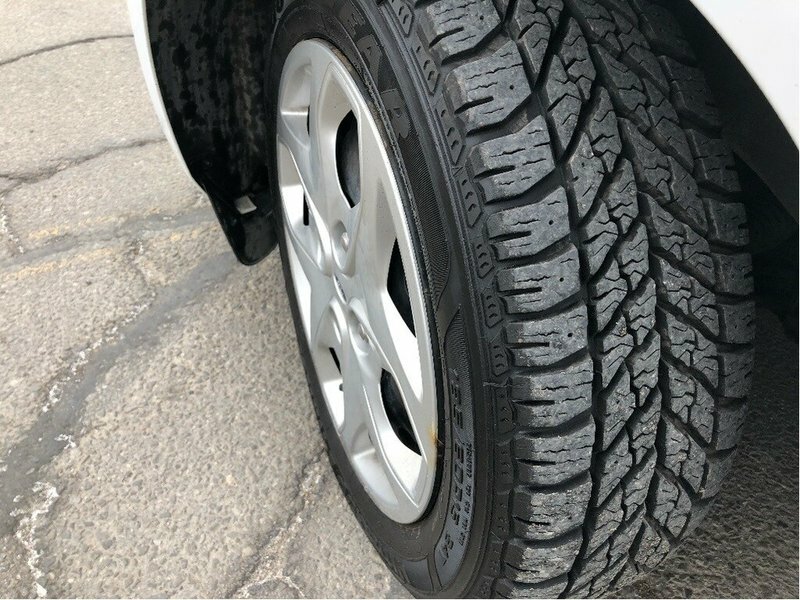 This Front Wheel Drive is powered by our proven Duratec 1.6 Litre 4 Cylinder that produces 120hp and is perfectly paired with a smooth-shifting 6 Speed Automatic transmission. 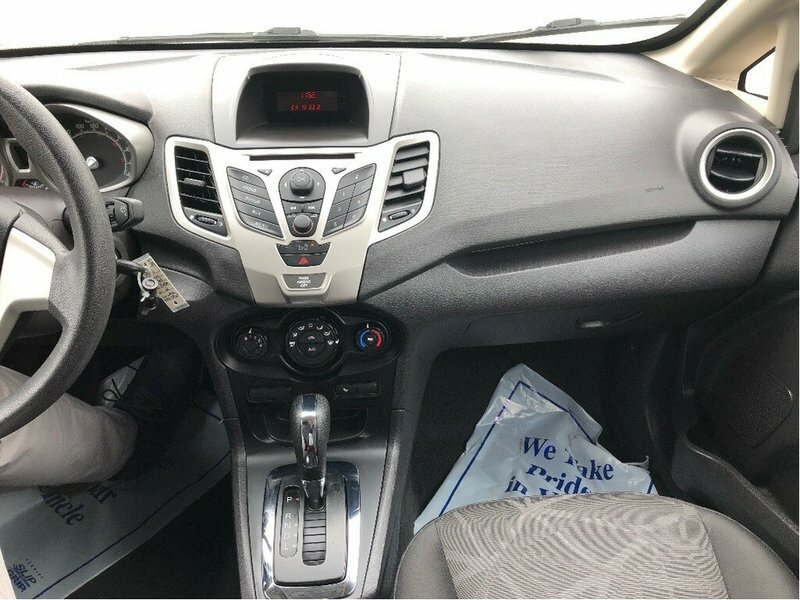 Not only is our Ford Fiesta a blast to drive with easy maneuverability, it also scores you near 6.0L/100km on the open road. 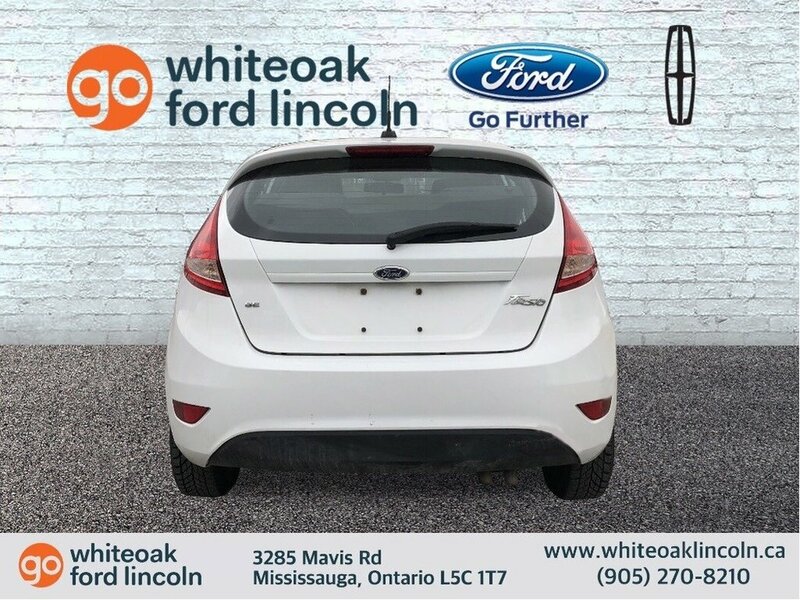 Take a moment to admire the spirited stance of our Ford Fiesta SE with its rear spoiler and can-do demeanor. 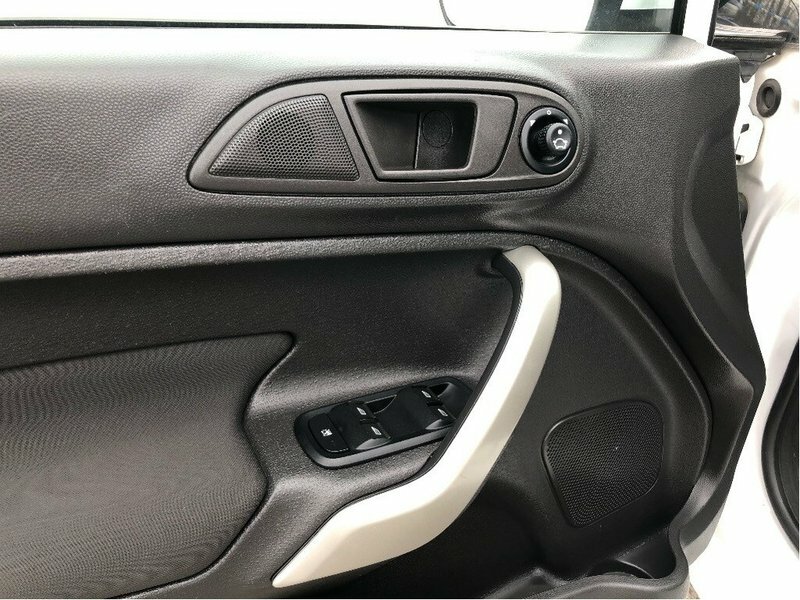 Then open the door to find a well-designed interior with everything you need in its place. 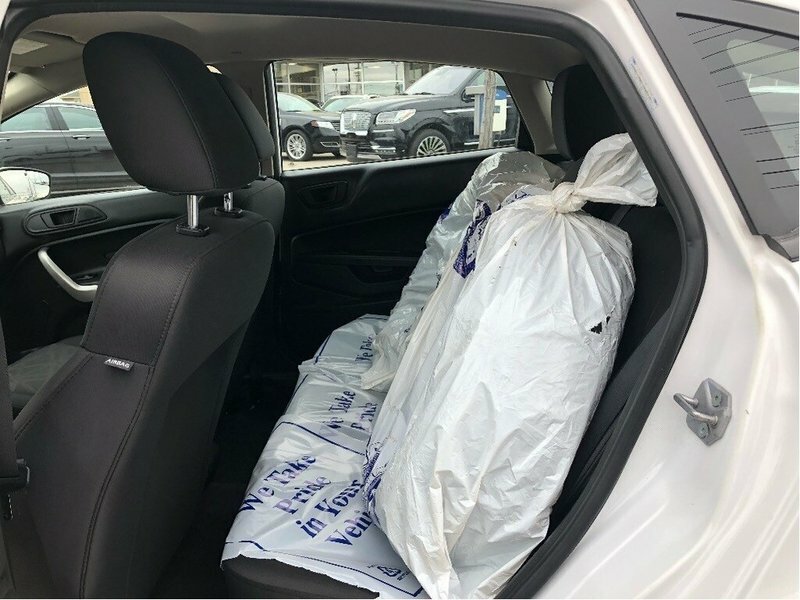 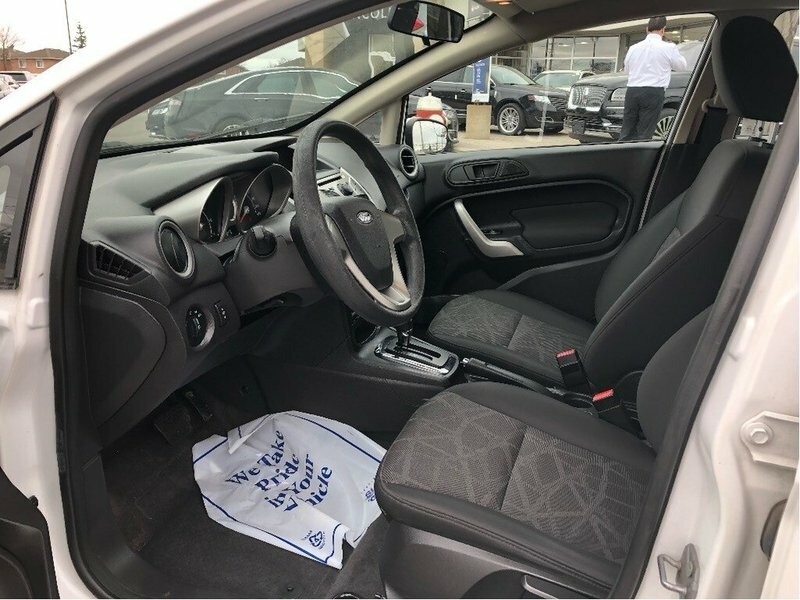 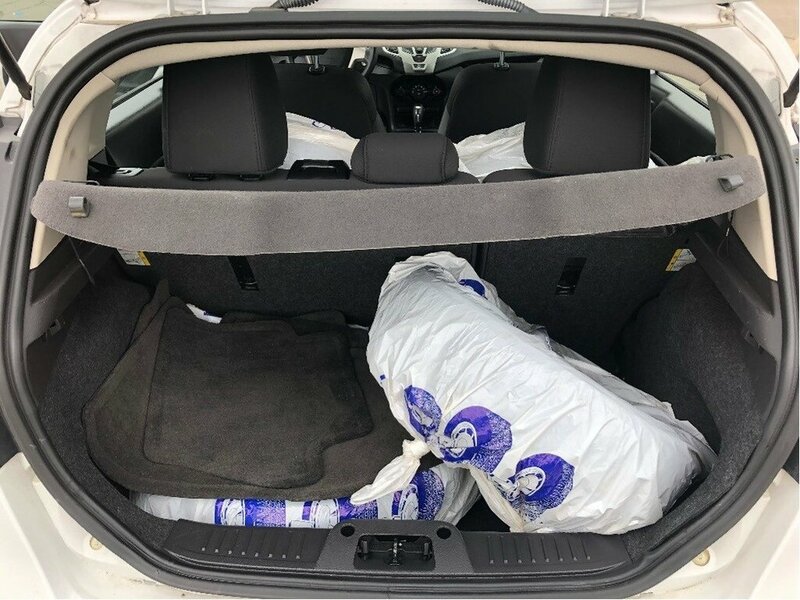 You'll appreciate power accessories, a tilt-and-telescoping steering wheel, a four-speaker AM/FM stereo with CD player and auxiliary input jack, as well the versatility of a 60/40 split-folding rear seat. 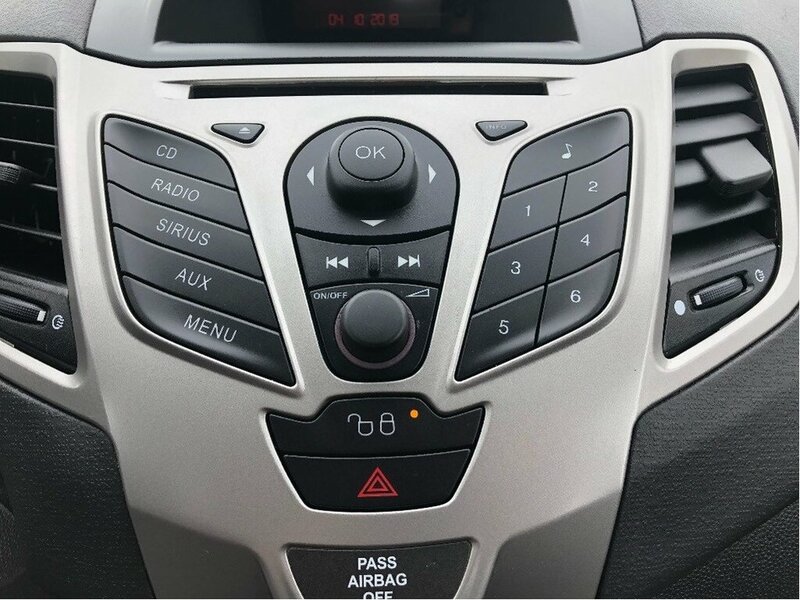 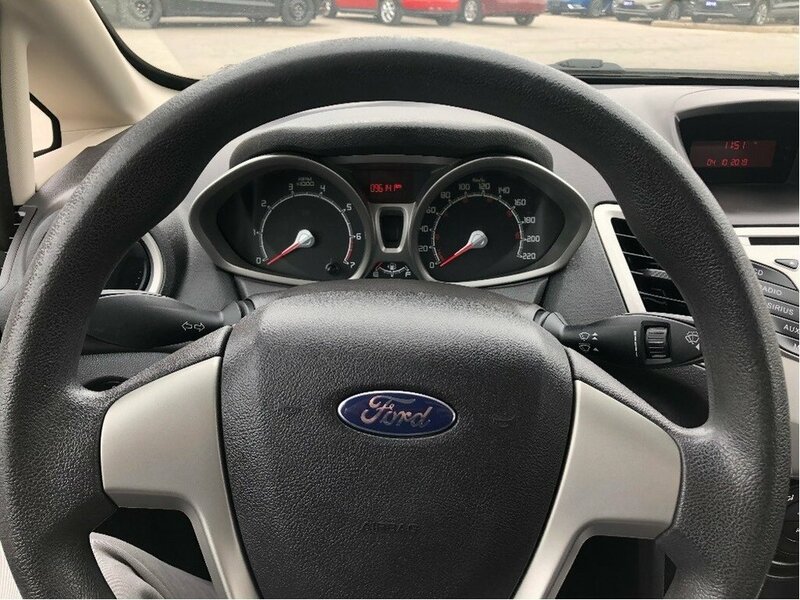 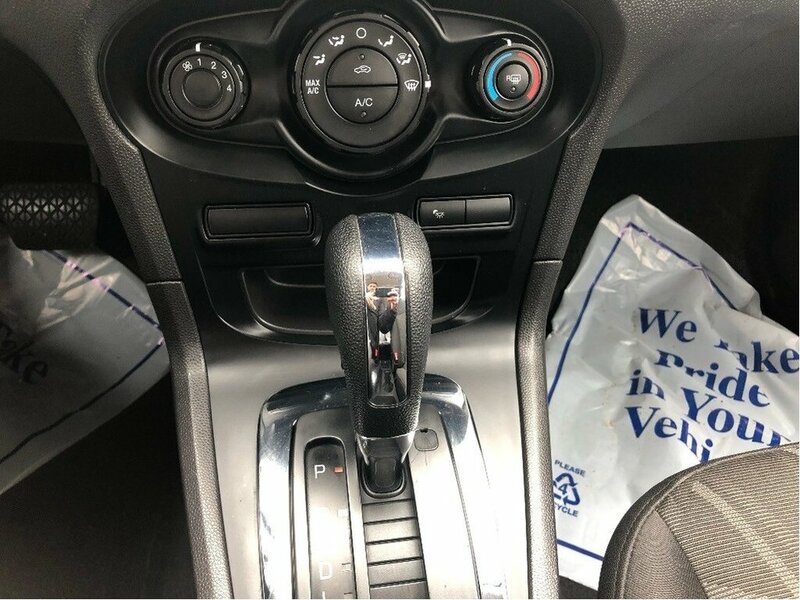 Drive confidently knowing features such as AdvanceTrac electronic stability control, seven airbags, a tire pressure monitoring system, four-wheel anti-lock brakes, and Ford's SOS post crash alert system have been carefully crafted to keep you out of harm's way. 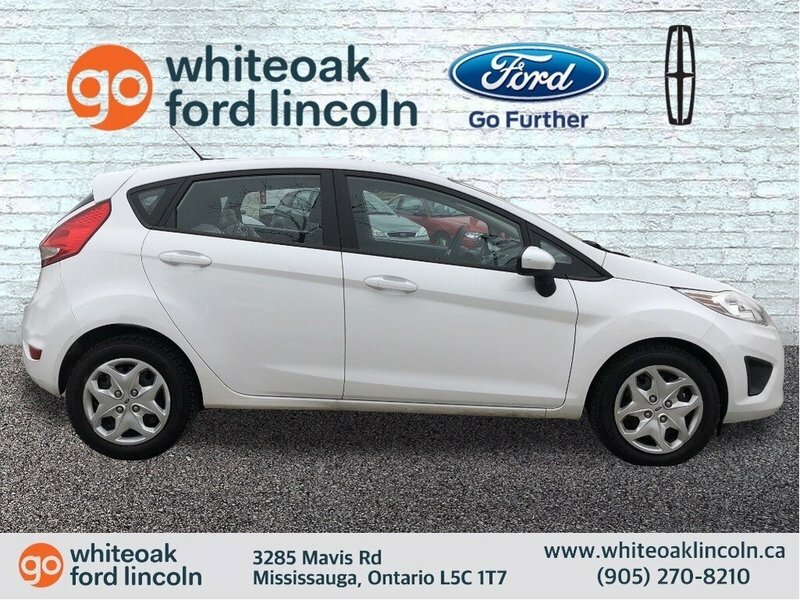 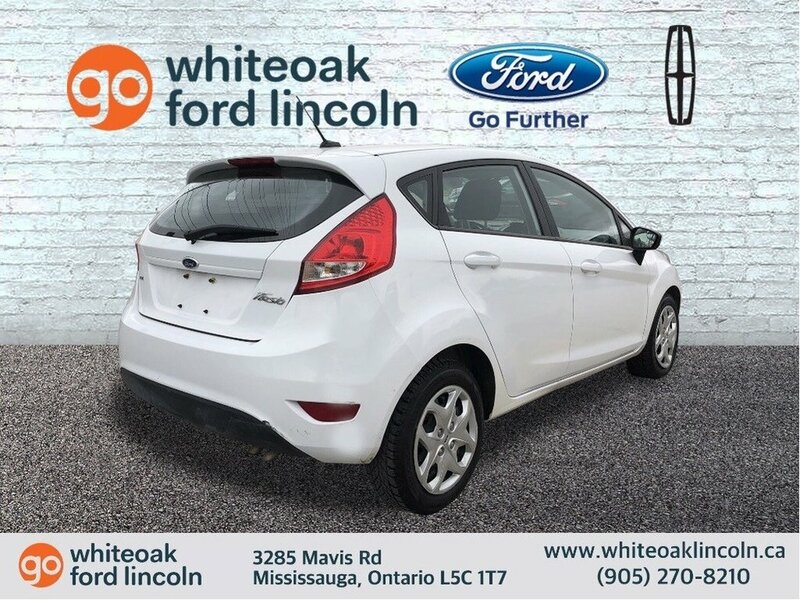 Ford Fiesta's styling, comfort features, technology, and overall practicality make this the obvious choice! Print this page and call us Now... We Know You Will Enjoy Your Test Drive Towards Ownership!